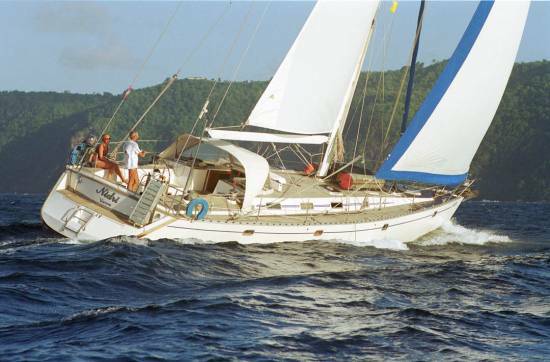 Sail with us on a catamaran or custom built yacht. 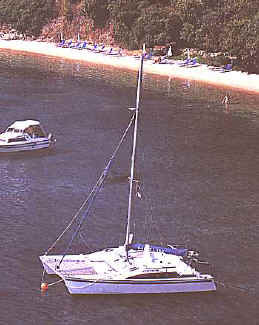 On "Merlin" our 8 metre catamaran, we go for full day sailing trips to Skopelos or Pelion. We also offer half day trips around the offshore islands or Tsoungria and Arkos. All trips include beach stops with time for swimming and lunch at a beach taverna. Our service is personal and private and can be tailored to accommodate any special requirements. Drinks are served on board. Available for 2 day, 1 week, 10 day or 2 week trips. 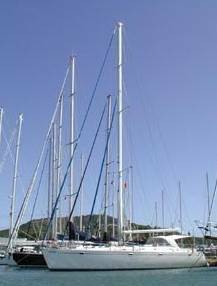 Nidri is a fast and modern sailing yacht, designed for 8 passengers in 4 double bedrooms with en-suite heads. The crew has its own quarters on the fore-deck.